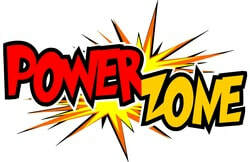 Powerzone is an out of school care and recreation programme which is run in the city. For enrolment details and fees please contact Miriam Anderson (Powerzone Co-ordinator) on the details below. Before School: 7:00am - school drop off. Breakfast included. $12 per session. After School: school pick up until 5:30pm. Afternoon tea included. $16.00 per session. Main session: 8:00 - 3:00pm. No meals provided but all activities included in price. $35.00 per session. Afternoon Care: 3:00 - 5:30pm. Afternoon tea included. $16.00 per session.